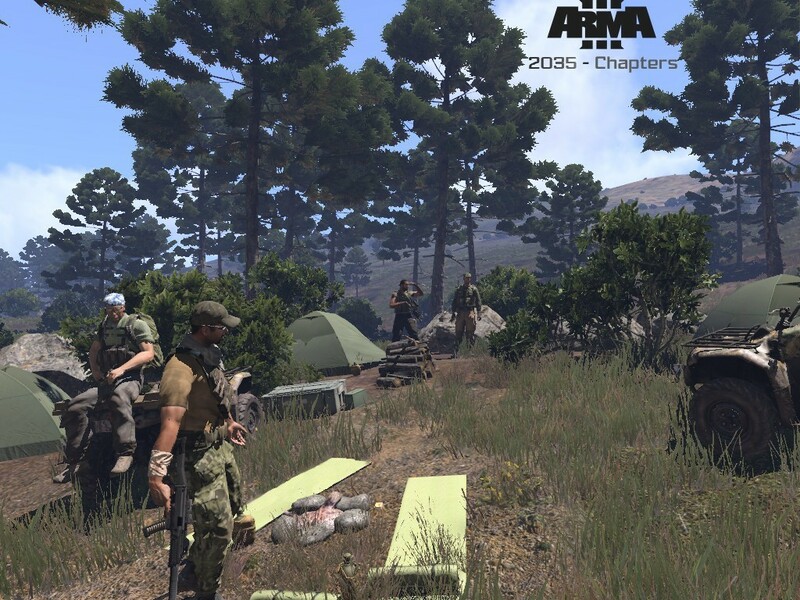 Chapter I – Harbingers is a straightforward single player campaign that wraps around the story of Sergeant Adam Kerry and his fellow soldiers Corporal Briggs and Corp. Walsh as they encounter the AAF turning against their allies on the Altis island. Will they survive? It’s up to you! 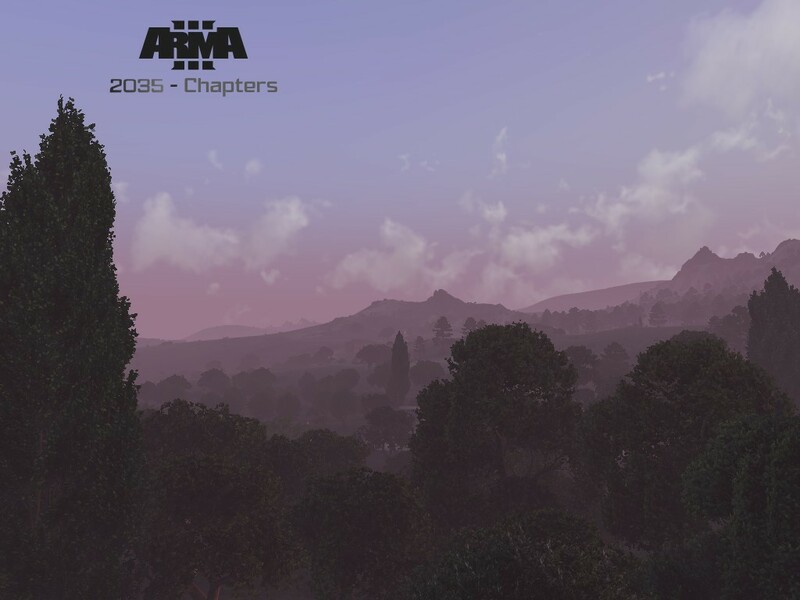 ArmA3 - 2035 Chapters didn't make it into the contest but stay tuned, it will find it's way to the workshop one way or another. Thanks for your support so far! If you still want to contribute(voice acting): Links are to your right in the tweets. 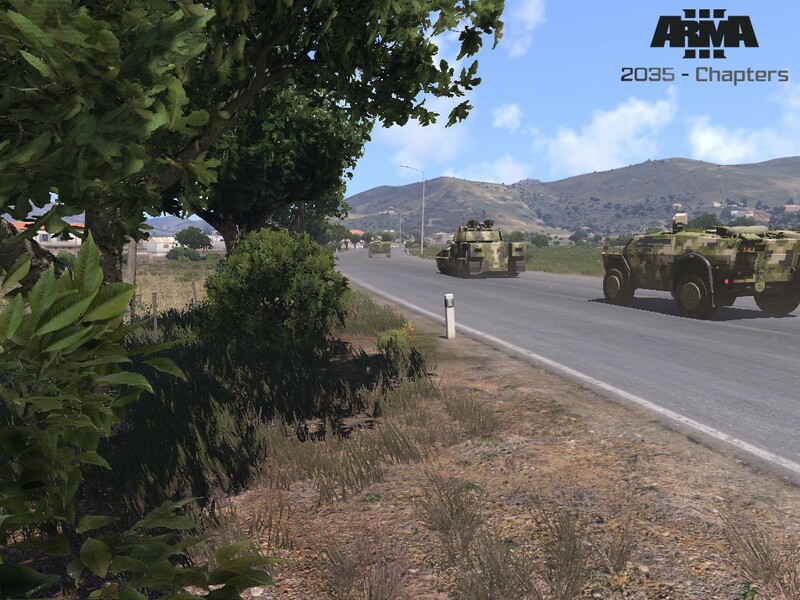 A3: 2035 – Chapters is going to be a series of singleplayer campaigns based on the events in the Altis region in 2035 and after. 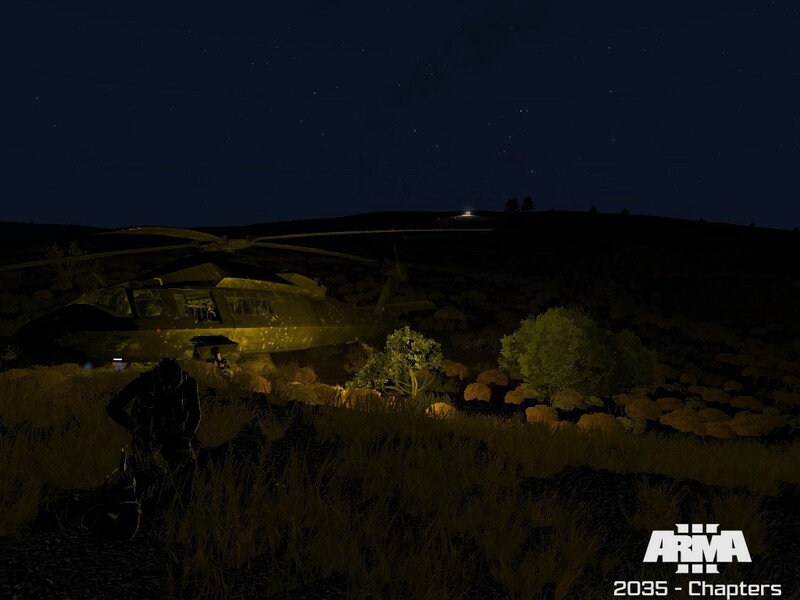 “Chapter I – Harbingers” is the entry for the MakeArmaNotWar contest. I hope you like what’s in the making here. I’d be very happy to count you to my supporters so please vote on the buttons above if you please and if you’re registered.
! Creating a campaign is time consuming. I reserve the right to cancel my entry at any time. No 3rd party content. 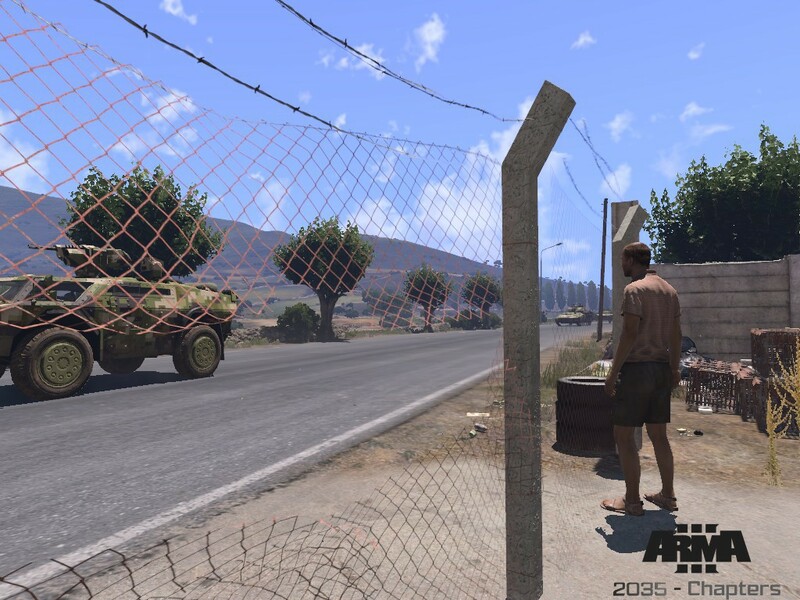 Besides the offical Arma3 release and voice acting everythings my own doing: Mission design, building/scripting (of course I learned from the community), conversation scripts. Only voice acting is "3rd party content" but will be approved by the creators and is specially created for this project!